Mountain homes in North Carolina are highly sought after. They have a lot to offer potential buyers, especially those looking to relocate from afar. 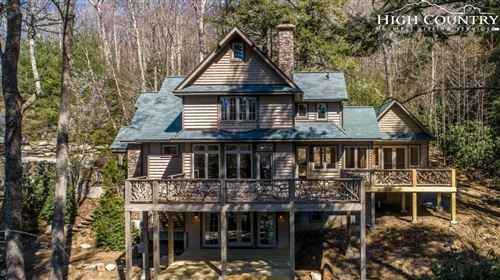 Whether you’re familiar with this region of Western NC or wouldn’t know it if you drove through it, prepare to be enraptured with the properties for sale. The Mountain Group at Premier Sotheby’s International Realty features a comprehensive list of the area real estate right within this site. Spend the next few minutes browsing some of the finest mountain homes around and call us when you’re ready to take the next step. You’ll find expansive retreats with open floor plans and stunning views, professionally designed homes with the latest amenities, charming cottages on large tracts of land, and humble abodes close to town. What you won’t find is disappointment. The listings contain just about something for everyone. 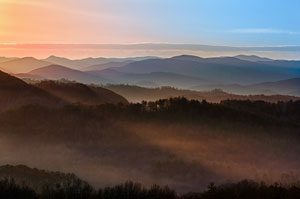 With a wide range of prices, any buyer is provided the opportunity to own a piece of the Blue Ridge Mountains in NC. What’s even better, with our team in your corner, you’re almost guaranteed a successful experience. We will assist you in every part of the process – from browsing properties to negotiating a price, even bringing in inspectors and closing the deal. We’ll handle the hard stuff so you can focus on your normal day-to-day activities. What tends to be a stressful time for many will be a refreshing and exciting time for you. We maintain an open line of communication and will always be available to answer your questions and squelch any concerns. Not sure if you’re looking in the right town or working with the right budget? Maybe you doubt your potential lender. Whatever it is, we’ll be happy to talk it out with you. Our clients deserve to go into this and come out of it with ease. Mountain homes in North Carolina are just a few clicks away.